Born in Belleville, Ontario in 1961. From a young age Robert always demonstrated his creative skills through painting and drawing. Robert studied graphic design at Durham College and after graduating he moved to Toronto. His design career was largely focused on producing promotional material for the pharmaceutical industry as well as working for a Toronto advertising agency. 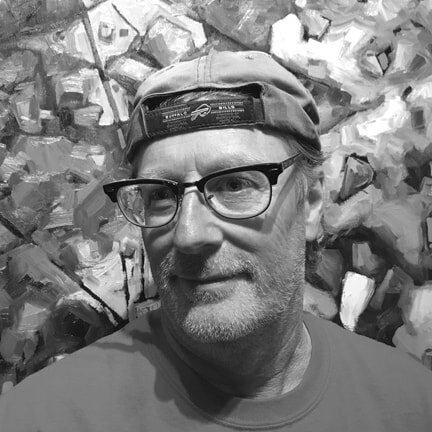 After many successful years in the advertising world Robert left the industry in 2010 to pursue his passion for painting and set up his studio in Aurora, Ontario. A self-taught oil painter, he uses broad brush strokes and vibrant colours to capture his vision in its most simplistic form. His inspiration comes from the Canadian landscape and its natural creations of colours, shapes and textures. Many of his paintings are in private collections throughout Canada and the United States.